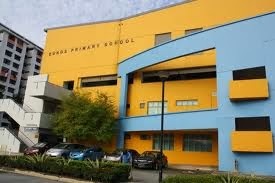 Eunos Primary School is located at 95, Jalan Eunos in Singapore 419529. It is enclosed within the Kembangan Region. Kembangan is a residential estate situated at the eastern section of Singapore. It lies between Northern Katong, Bedok and Geylang. It is primarily composed of private residential housing with some public housings at Lengkong Tiga. Nearest MRT is Eunos MRT and closest bus interchange is Eunos Bus Interchange. Amenities in the area include Kembangan Plaza, Joo Chiat Complex and Geylang Serai Malay Village. Some of the schools nearby are Manjusri Secodnary School, Maha Bodhi School and Telok Kurau Secondary School.